Parsecs where only thought can tread. Down ages of the world persist. Dead words or else a larger name. Draws over there that which can love? Lights there a dance which can rejoice? Rests there a hold of things above? In the animated film Shrek ( PDI/DreamWorks 2001) there is a memorable scene in which the ogre Shrek asks if anyone knows where to find the ruler Farquaad, and Donkey jumps up and down shouting out “Pick me! Pick me! Me! 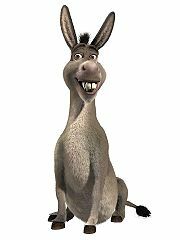 Me!” It is memorable because Shrek does not particularly want to pick Donkey, and because Donkey is brought so much to life by the actor Eddie Murphy, in what must rank as one of the greatest ever animation voice-overs, and because we recognize the scene. It is the scene played out in classrooms, sports-fields, magic shows, family parties, toddler groups, wherever a bunch of eager children want to have a go at something that looks fun, though they don’t necessarily know what it may involve.